3D Realistic Eyeball Tattoos of the Day! Home Tattoo Artists 3D HYPER-Realistic Eyeball Tattoos! Tattoo Artist Andrzej Niuniek Misztal from Rock Ink, in Jaroslaw City, Poland, creates some of the most killer eyeball tattoos we have ever featured. Let us know what you think of these 5 eyeball tattoos, we picked for you! 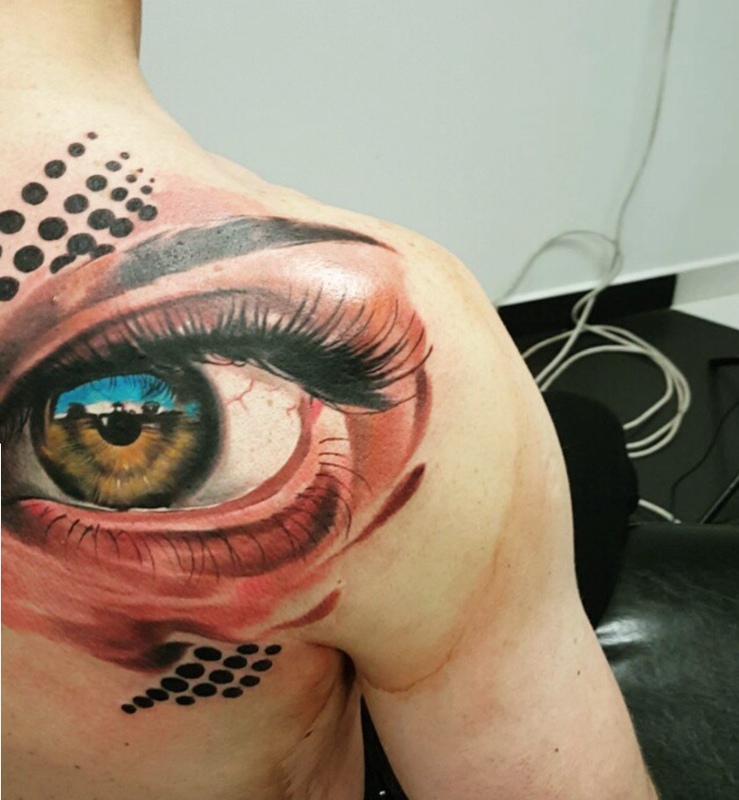 Realistic Eyeball Tattoos by Andrzej Niuniek Misztal went viral this year! We just can’t get over the beautiful color in this Eye Tattoo, and especially the reflection in the Iris. This is one of the most amazing eye tattoos we have ever seen! Look at the face on the iris, an incredible tattoo, one of the best eye tattoos. We’re just waiting for this Eye Tattoo to blink! The eye follows you too. Would you like a Tattoo by Andrzej Niuniek Misztal? What would you get? Leave a comment below!